Formal concept analysis (FCA) has been applied successively in diverse fields such as data mining, conceptual modeling, social networks, software engineering, and the semantic web. One shortcoming of FCA, however, is the large number of concepts that typically arise in dense datasets hindering typical tasks such as rule generation and visualization. To overcome this shortcoming, it is important to develop formalisms and methods to segment, categorize and cluster formal concepts. The first step in achieving these aims is to define suitable similarity and dissimilarity measures of formal concepts. In this paper we propose three similarity measures based on existent set-based measures in addition to developing the completely novel zeros-induced measure. 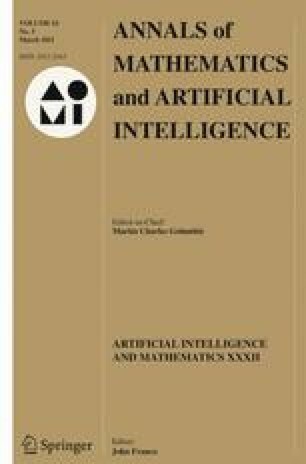 Moreover, we formally prove that all the measures proposed are indeed similarity measures and investigate the computational complexity of computing them. Finally, an extensive empirical evaluation on real-world data is presented in which the utility and character of each similarity measure is tested and evaluated.